For $25 in advance or $30 at the door, attendees receive event entry, eight drink tokens and a souvenir glass for tasting one of the more than 100 samples available. Proceeds from the event go to United Way of Mason County who will distribute the money to local non-profit organizations working to help children and families to be financially stable and healthy. Buy your tickets in advance at The Mitten Bar, Jamesport Brewery or PM Expeditions. Bring your ID, no one under 21 will be permitted into the festival. That means no strollers, no children, no babies. You are welcome to bring camp chairs and picnic blankets to sit back and relax in the large grassy open area. 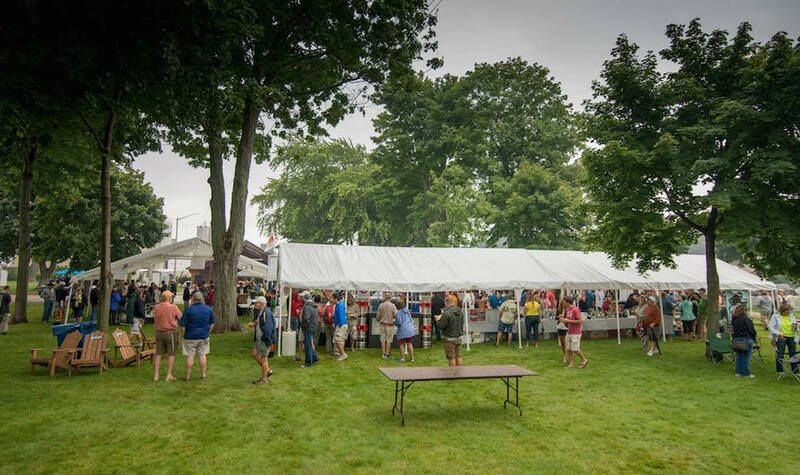 Suds on the Shore runs from 1 to 7 p.m. at Ludington’s Rotary Park (formerly Ludington City Park). View a map and get directions here.